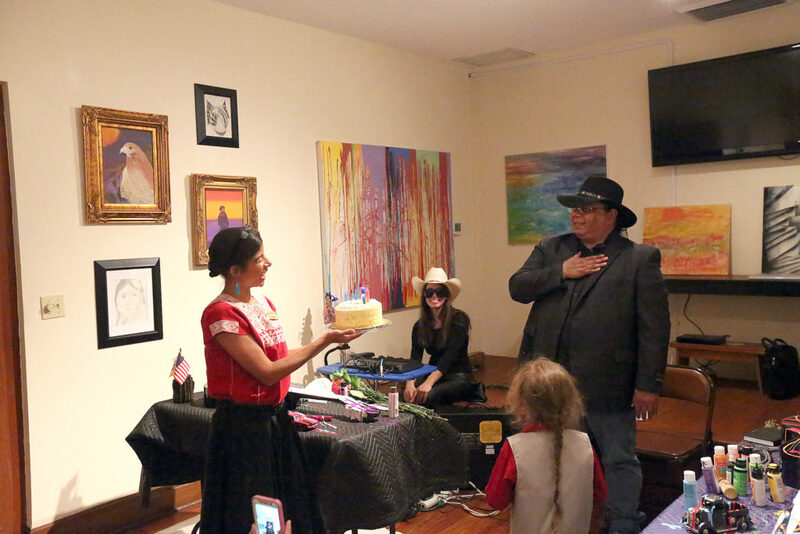 FORT LAUDERDALE — Colorful Warrior Theatre’s mixed-media “Indian Car: Old Photo” – a combination of Seminole culture and modern art through music, painting, poetry and prose – brought in the new without throwing out the old on March 30 at History Museum Fort Lauderdale. The evening of diverse art, hosted by the Florida Historical Society, accompanied “The Big Show,” an exhibition at History Fort Lauderdale running through June 4 that features the artwork of Elgin Jumper and Gordon Oliver Wareham, Tribe members and Colorful Warrior Theatre performers. As part of the show, Jumper read his literary work and painted guitars and model cars. 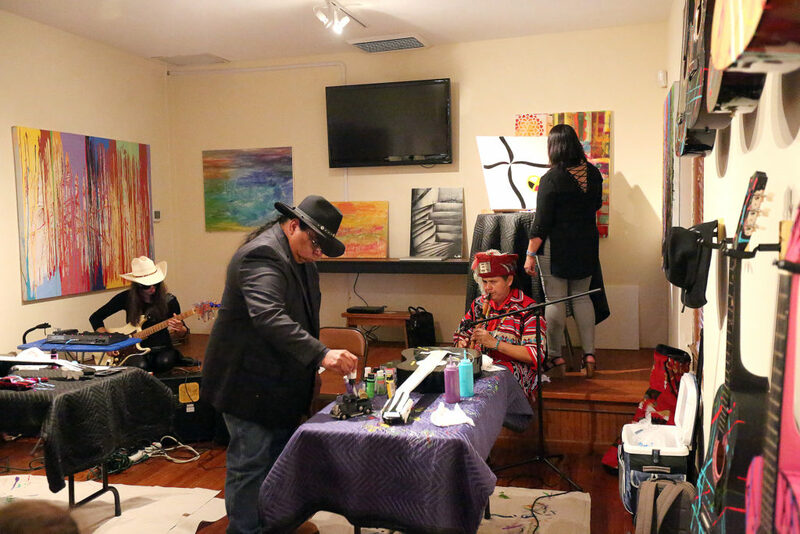 He was accompanied by Wareham on the flute and Stephanie-Gabrielle Sneed, soundscape artist, while painter Erika Tommie simultaneously created a piece inspired by the journey of the Seminole Tribe. 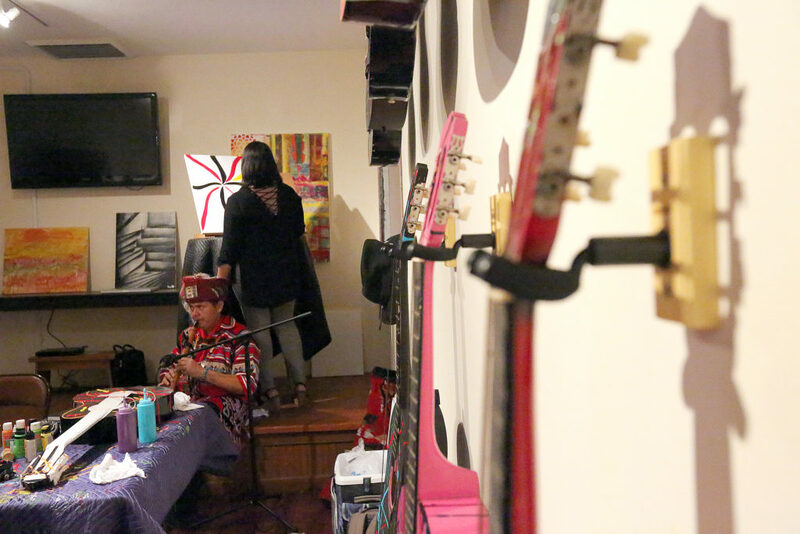 Jumper described the group’s work as both contemporary and theatrical, saying that they try a lot of different things when putting together a show. 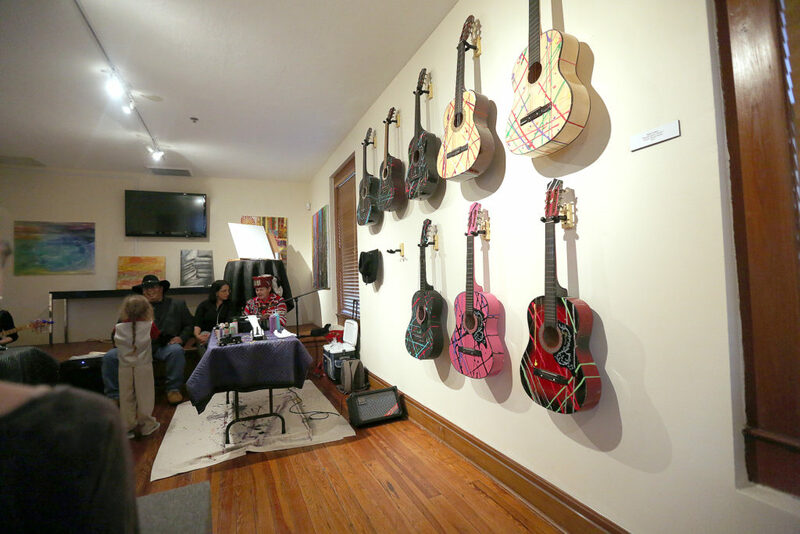 The group’s stage was a gallery filled with many of Jumper’s own works, including miniature cars, visual art and a wall of guitars that Jumper had painted during rehearsals. 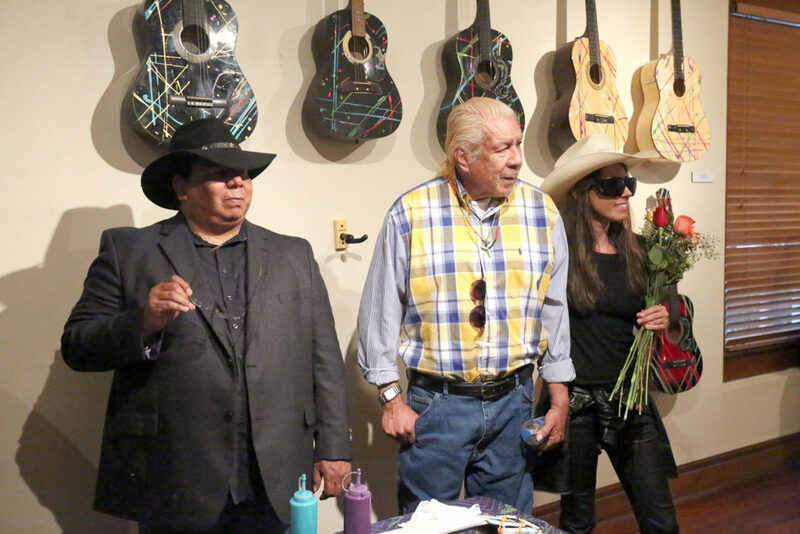 For “Indian Car: Old Photo,” Jumper said he wanted to emphasize the nonverbal aspects of the group’s art and connect with the audience. “We were trying to take the audience into a journey into the past to bring them into the future,” Wareham said. Wareham and Jumper have been working together for over 10 years, but Jumper is taking a break from performance after “Indian Car: Old Photo” to focus on his writing. Wareham’s next step is to focus on running for office, but he said he was sure it wouldn’t be long before Jumper called him with an idea for another project. 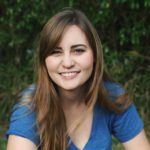 “I do it because [Jumper] asks me to do it, and I know because he asks me to do something it’s going to be challenging and it’s going to be something creative,” he said. 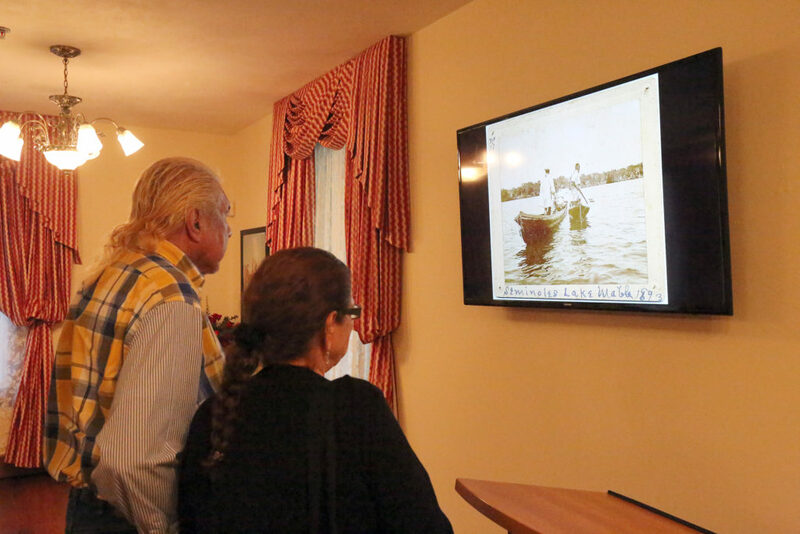 In addition to many of Jumper’s pieces, 14 of Wareham’s photographs, including his favorite piece, which features his cousin William Cypress, are also on display at History Fort Lauderdale. 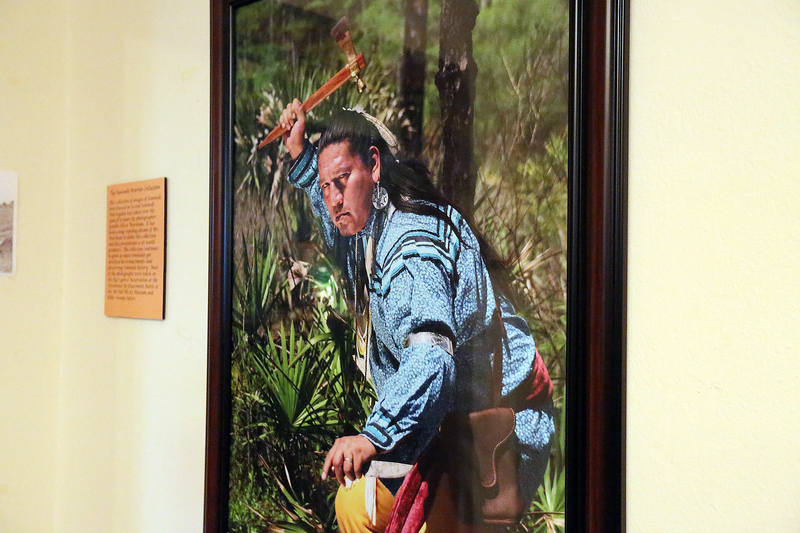 Wareham photographs most often during reenactments at Big Cypress. 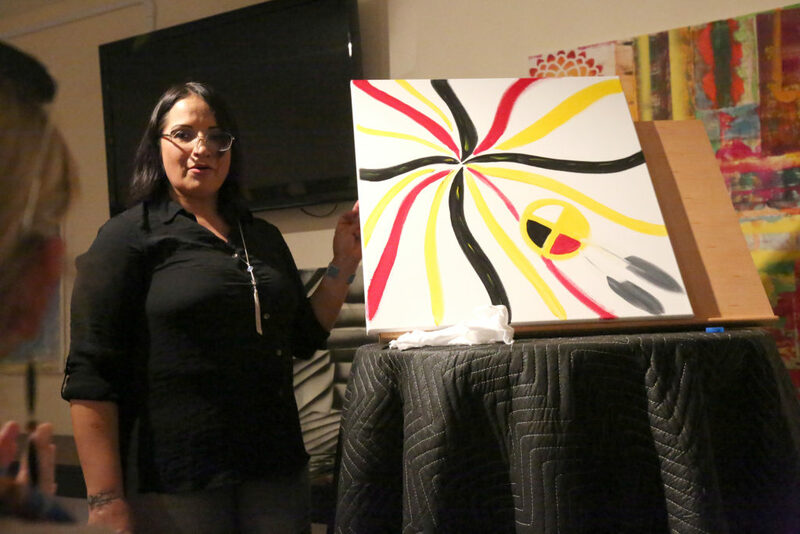 Jumper called the group’s art “spiritual,” emphasizing that it’s a way to bring people out of their ordinary lives.